Kenny Omega opened up recently about the contract negotations that led him to signing with AEW. In an interview with Dave Meltzer and Garrett Gonzales, which you can see a clip of below, Omega talked about negotiating with WWE, AEW and New Japan. He mentioned that negotiating with WWE was more pleasant than people had previously told him. 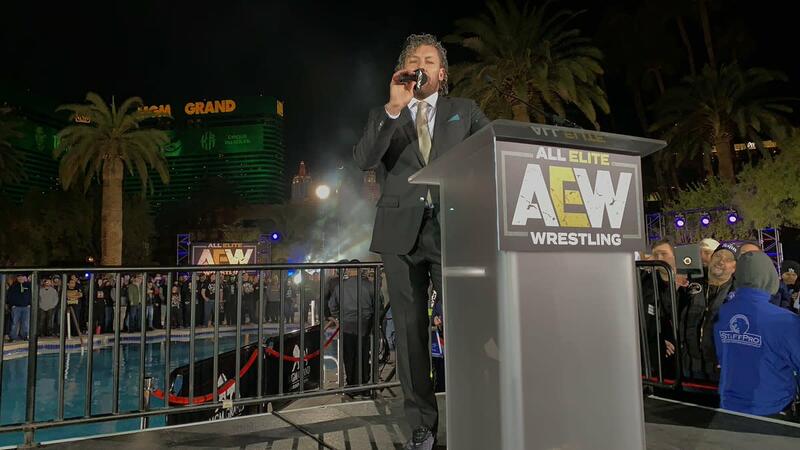 Omega also said he's signed a four-year deal with AEW, and that he would be allowed to appear in New Japan if he wants to and if NJPW will have him. “I have it specifically written in my contract that I can go anytime I want and appear for New Japan Pro Wrestling.” he stated. You can hear a clip of the interview below, and subscribers can listen to the full interview here where Omega talks about his upcoming documentary, his recent feud with Hiroshi Tanahashi, Kota Ibushi, video game fans and wrestling fans plus more.